Sargent Art® Canvas Pad measures 12" x 16" and includes 10 page leafs per pad. Double acrylic titanium priming. Suitable for framing. 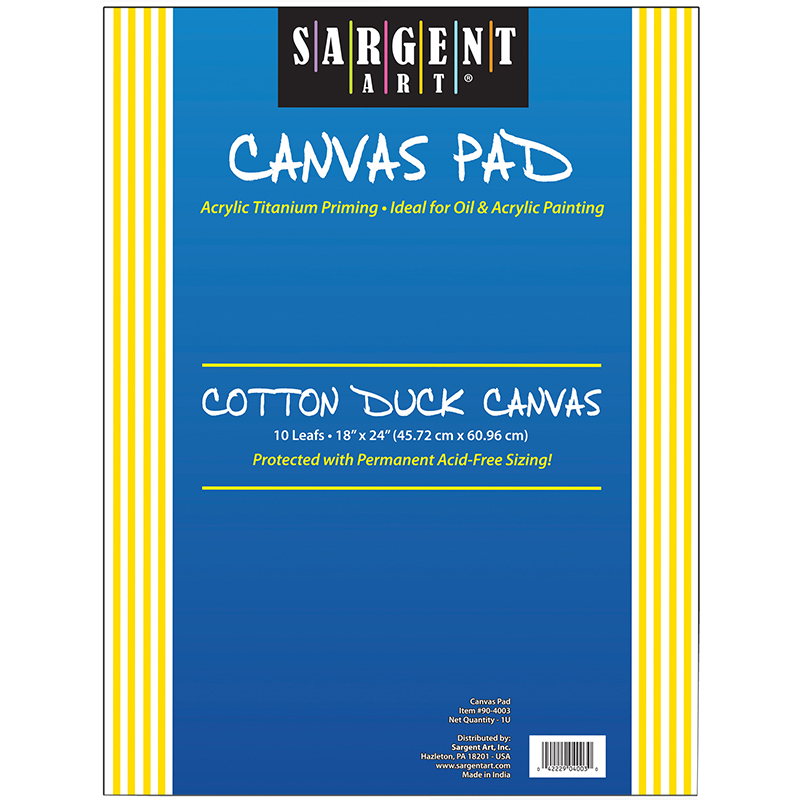 The Sargent Art Canvas Pad 12 X 16 can be found in our Canvas product category within the Arts & Crafts. Sargent Art Canvas Rolls brings artwork to light. Features 100 percent natural cotton duck. 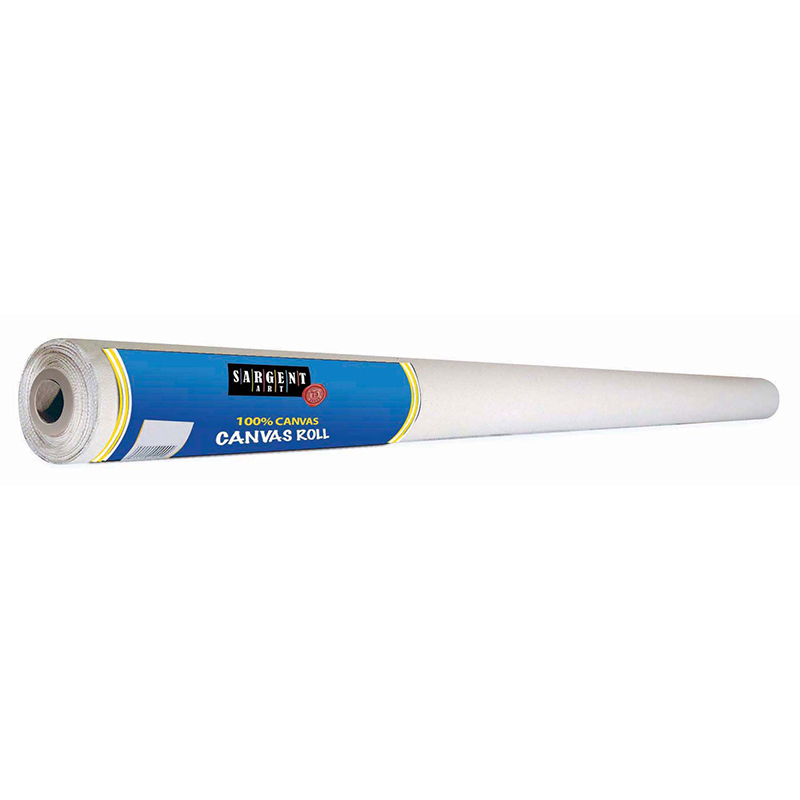 Each roll includes 6 yards of 72-inch-wide canvas, suitable for acrylic and oil painting. 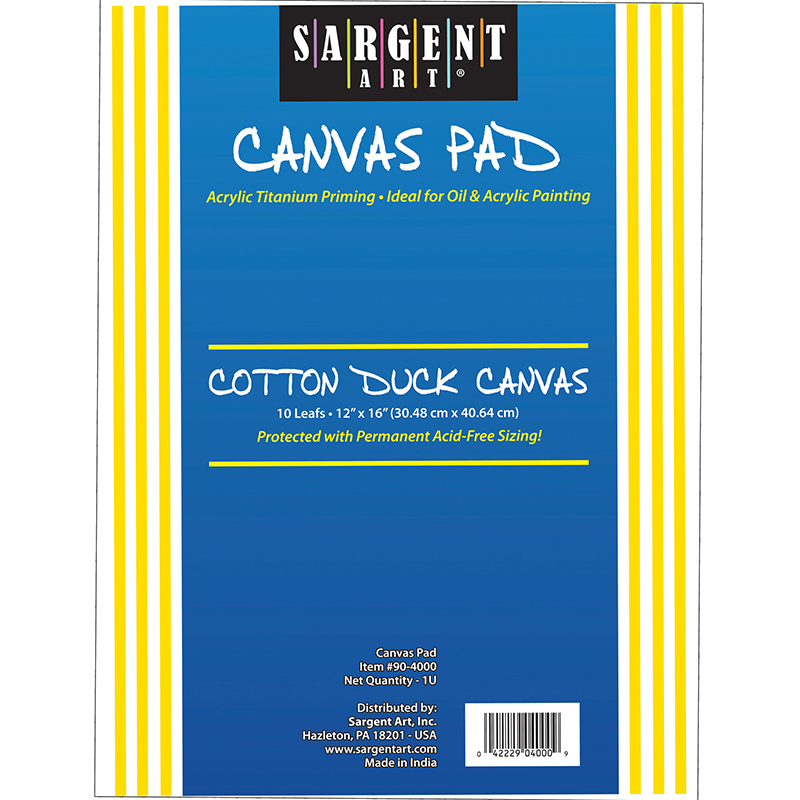 Sargent Art® Canvas Pad measures 18" x 24" and includes 10 page leafs per pad. Double acrylic titanium priming. Suitable for framing.